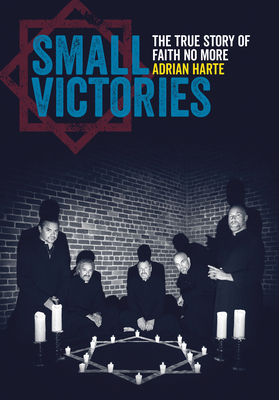 Adrian Harte discusses his new book Small Victories: The True Story of Faith No More with Faith No More member Bill Gould and special guests. "Culled from hundreds of interviews with band members and key players, along with extensive research, Small Victories proves as entertaining a biography as one could hope to read. Small Victories: The True Story of Faith No More is the definitive biography of one of the most intriguing bands of the late twentieth century. Written with the participation of the group’s key members, it tells how such a heterogeneous group formed, flourished, and fractured, and how Faith No More helped redefine rock, metal and alternative music. The book chronicles the creative and personal tensions that defined and fueled the band, forensically examines the band’s beginnings in San Francisco’s post-punk wasteland, and charts the factors behind the group’s ascent to MTV-era stardom. Small Victories strips away the mythology and misinformation behind their misanthropic masterpiece Angel Dust, explores the rationale behind the frequent hiring and firing of band members, and traces the unraveling of the band in the mid-1990s. It also examines the band’s breakup and hiatus, explores their unwelcome legacy as nu-metal godfathers, and gives a behind-the-scenes view of their rebirth. Based on meticulous research and hundreds of interviews with current and former band members and other key figures, Small Victories combines a fan’s passion with a reporter’s perspicacity. ‘When I first heard about this Faith No More biography, I didn’t know what to think. But I have to give credit where it is due, it’s a quality piece. The man has done his research and it shows.